Silver Dolphin Books, 9781684127603, 32pp. 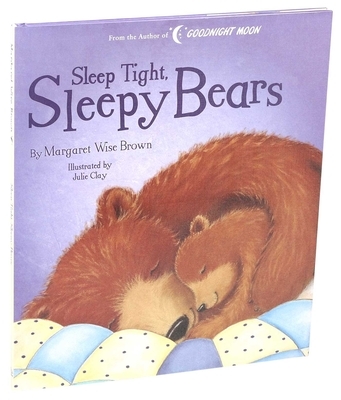 Follow the story of the sleepy bears in Sleep Tight, Sleepy Bears in this beautifully illustrated magical story from best-selling author Margaret Wise Brown—creator of the children's classics Goodnight Moon and Runaway Bunny. It's a perfect bedtime story for your little one. Julie Clay is a freelance illustrator with twenty-five years of experience in greeting card design and children's book illustration.